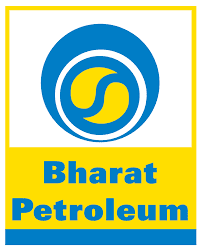 Bharat Petroleum Corporation Limited. Kochi in Kerala state has invited applications for the recruitment of Chemist Trainee and General Workmen. For Chemist Trainee, Candidates are eligible who have a master degree in Chemistry and for General work man Candidates should have a diploma in electrical interested candidates may apply online mode. Registration starts from 25th January 2016 ending date of registration 08th February 2016. Aspirants also check other details like education eligibility, age limit, and a number of vacancies info, online application link and more details are given below. Number of vacancies: 09 posts. Education Qualification: Master Degree in Chemistry. Education Qualification: Diploma in Electrical /Electrical and Electronics Engineering. One year experience must in this field. Selections: Candidates will be selected based on Interview. Applying Method: Applicants have to visit official site then click on the Apply Online, then fill all required information, check and click on the submit button.